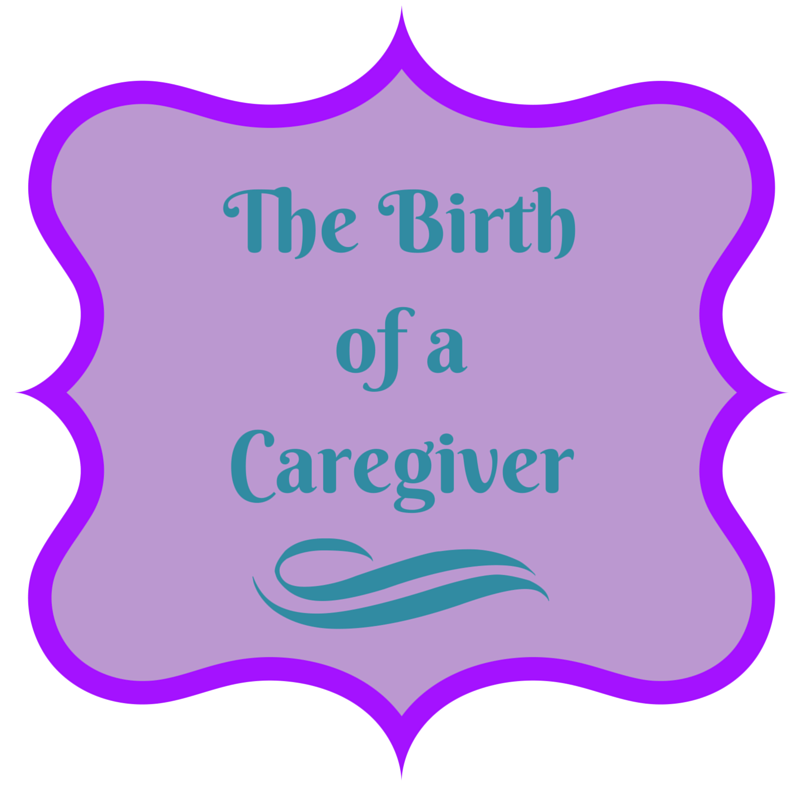 Home » Blog » CAREGIVING » RESOURCES » THE BIRTH OF A CAREGIVER-HOW WE GOT HERE! THE BIRTH OF A CAREGIVER-HOW WE GOT HERE! Most caregivers are not experienced. They are not born as caregivers. They become caregivers after a family emergency or in my case a wake-up call. I had no idea what Alzheimer’s Disease really was. Like most people, I just assumed that she was just forgetting things no big deal. At first it was just forgetting things like conversational items. She wouldn’t remember that she had called me earlier in the day and would call me several times. She would forget that we had plans to come over or to go shopping. She had her own apartment and had several friends in the complex that she would walk with. She didn’t have a car anymore. We had used moving from KY to SC as an excuse to get rid of her older, high mileage car. She had driven in Ky but only about a 2-mile radius in town. I was coming to pick her up once a week way back then to drive her to a bigger town to grocery shop. She was having issues then and was slowly giving it up. Of course, hindsight being what it is, I guess she was having problems with getting lost. I knew that she was beginning to have problems at that time. I assumed she would be moving in with me but way off in the distant future. It wasn’t until the “distant future” caught up to smack me across the face! For two years, she maintained her own apartment and seemed to be doing really well. I would come over a couple of times a week and my brother lived in the same complex. I actually was dumb enough to believe she was getting better. Of course, it didn’t last. One time in particular, we were going back to KY to visit. It was a well-scheduled trip, one that we had been looking forward to for a while. We went to pick her up and I had repeatedly asked her if she had remembered the things she needed, to the point that she was getting exasperated. We hit the road Friday evening and got about an hour and a half into our trip when mom made the comment that she had forgotten her medicine. Needless to say, I was ready to explode but turned around to get the meds instead. Of course, now I know that by scheduling our trip for the evening hours we were setting ourselves up for failure. Sundowning is the term that is used for what evening does to an Alzheimer’s patient. Most AD patients become dull and lifeless as the sun goes down. They are more forgetful or refuse to interact with anyone. In our house, we use bright lights. I will start turning on a different lamp or light about every half hour to make it brighter indoors. We also try to get in the sun off and on throughout the day. I was starting to notice things more and more and after having a conversation with her friend and neighbor I decided to make an unscheduled stop one afternoon to check things out. When I arrived at her house I knocked on the door. It took a half hour and three phone calls to get her to the door. She was in dirty clothes which is something my mother would not be caught dead in. I came in and started chatting while looking around. I walked into the kitchen to find all of the evidence I ever needed to convince myself that the time was right now. In little piles all over the kitchen were pills. I would guess about 5 or 6 of them. Upon closer inspection, I could figure out that she had not taken her medication on all of these days. She takes meds for her stomach, her high blood pressure and Namenda which is routinely prescribed to dementia/Alzheimer’s patients. She had gotten them out but had forgotten to take them. I knew her lease was set to be renewed the following month so I brought mom home with me for a couple of days and had a serious talk with my husband and brother. This is part 1 in my Caregiver Series “HOW WE GOT HERE”. Thank you for telling your story. It is information that is so needed. I feel like one of my parents is slipping down the path of Alzheimers or dementia. I also heard that the best time for them is mornings and worse is evenings. I think it is that way for other disease as well. I am thankful for all you share. Thank you so much Paula! There are so many who suffer from this horrible disease and if I can help even one caregiver or family recognize it early it will mean so much! This blog has given me so much insight on how things work with Alzheimers.. Thank you for that.. i know what to look for and if i have any questions i know where to go. Your post is a great primer into the start of the disease. What we think is going on and the reality. I look forward to part 2! At first my Mother was eating tea and toast for breakfast lunch and dinner. We thought she was too lazy to cook for herself. Then my fabulous cousin started bringing meals she could either warm in the oven or microwave, but when we would find some forgotten meal moldy in the oven we knew her care needed to be addressed. It is a journey! I have found at least in my case that we make many excuses about Alzheimer’s behavior. Once you know it is the problem then you can begin to address it. Thank you so much Haralee! It is as much a learning process for me as with anyone! I had no idea about the term sun downing. Makes so much sense. It is so nice of you to share your experience to help others. Thank you so much Mary Ann! I am hoping to make this a once weekly series (every Monday) and am experimenting with some other things for the future of this blog. Hope you stick with us! Thanks so much for sharing this – it’s such helpful information! Looking forward to reading more. Have a great day! Your story sounds just like my mom’s. I have asked her to read your blog. Thank you Michelle! I appreciate the support! You’re an amazing person to become a caregiver, alzheimer isn’t an easy thing to get through. No it is far from easy but the truth of the matter is this. I never had a choice, she is my mother and she needs me end of story! Thank you so much for taking the time to read this series. Stay tuned for part 2 next Monday! Rena, this is absolutely fascinating! And SO educational! Those of us who are just beginning to go through this with our parents will be looking to you for your wisdom and experience! Thank you so much Diane! I am definitely a work in progress that is for sure. This series means alot to me though I have been working on it for awhile! There will be some big changes coming soon…stay tuned! It’s true–necessity is the mother of invention. You are so right Carol! You have a great point that people aren’t often born caregivers, they become one. You are doing such a great job! That is how I got started and it is a very scary endeavor! You want to do what is right but knowing what that is sometimes is very difficult! My grandmother experienced dementia and it was devastating for grandpa when he had to realize her body was there but her mind had gone home to be with the Lord. I love and appreciate your compassion in helping families prepare emotionally and practically for a day that we all hope will never come. You are so right Don! I grieved for the first three months and that didn’t help anyone. I really appreciate your story. Dealing with loved ones who are struggling with Alzheimers is a very trying experience. oh gosh! Its a good thing that she has you to take care of her she could have likely OD’d on her medications. I’m sure this has got to be hard on you though. Hang in there. The medication battle has been a long going argument in our house. Finally I had to take the mother/daughter relationship out of the equation and just be the caregiver. You share such valuable information. I am in health care so I see those who have caregivers and those who do not. I never thought I would be a caregiver for my mom but found myself in that exact situation. She has since passed away but it was a great but trying experience. Thank you Kathy. I am so sorry for the loss of your mother I can only imagine how hard that is. I know that ultimately Alzheimer’s will win the battle but I have decided to fight as long and as hard as I can to slow it down. Sometimes there is success sometimes not so much! That is such a huge commitment on your part. She’s very lucky to have you and that you were noticing all these signs early on. I am mom’s only daughter and although I am her 24/7 caregiver I have to admit that if it wasn’t for 2 of my brother’s I don’t know if I could do it all of the time. They are great about giving me a little time off here and there to spend with my family. They are the ones who suffer the most. I don’t get the opportunity to just be mom as much as I would like. But I wouldn’t and couldn’t do it any other way! Yes, this is so true LaTonya! I always go by the saying “If you want a good laugh, tell God your plans”. I had so many plans for this stage of my life but here I am and I wouldn’t change a thing. God really does know best! Thank you for sharing your story, Alzheimers is such a difficult illness for everyone involved, keep up the important work you’re doing! Thank you so much! It is very difficult but with knowledge it has become possible. Bitter sweet story. Brings tears to my eyes because I know this time is coming with my mother. Thanks for sharing. I think as women we take things like this so much harder. We are mothers, grandmothers and sisters or friends and to see someone you love lose the things that the most important to them is devastating. Thanks for sharing this wonderful story, I have a issue with Alzheimer, it is so hard when your favorite loving grand parents forget about you. Thank you Ralff but the important thing to remember is that your grandparents are still here. They may forget but with old pictures and the telling of old stories I have found that you can actually bring them back for a few minutes here and there. Thank you so much! When I first started writing it was supposed to be a way for me to release the feelings that I have to keep bottled up inside. It has turned out to be so much more and I look forward to writing it very much! Thank you for sharing – this is a whole new world for my family and I as my grandfather was recently diagnosed. I look forward to reading more from you! Thank you Lisa! I am so sorry for your grandfather’s diagnosis. It is very scary but there are alot of good memories too! Another resource you can try is the Alzheimersreadingroom.com it is a very important resource along with the local chapter of your Alzheimer”s Association! Please come back soon and often! I just want to show that while it is a very serious terminal disease you can still lead a happy life. Find one reason to laugh every single day! Thanks for being honest and sharing your story! Good luck to you and your family. Thank you for stopping by Krystal! It is so devastating when something like this happens to such a close family member. Kudos to you for taking care of your mom. My mother passed away with Alzheimer’s several years ago. The term you used “sundowning” totally fits this disease. I look back a past pictures when she was holding my then baby son and her face is just lifeless. There is no spark and it saddens me when I go back to those memories. We just have to remember that’s not the wonderful, vibrant person they were and remember the best times with them. Blessings and prayers for you. Thank you so much Julie! I am so sorry that you lost your mother and to such a terrible disease. It is hard to watch somebody who has always been so full of life just stare off into space or not care about anything that is going on around them. Some days are good and some are bad you just have to take what you can get I suppose! Thank you for sharing your story. By sharing your story, you are helping many other people that are starting this journey. Thank you Ann. We have a long hard road ahead of us but by sharing it makes it a little easier somehow. Thank you for sharing your story. My uncle had dementia and my grandmother took care of him and it was really hard for her. She was in her 70’s at the time and eventually she had to put him in a home. That is my biggest fear that my health problems will interfere with taking care of my mother. Hopefully with help we will be able to keep her at home. I didn´t know that about sundown. I sometimes worry about putting my kids in that position when I forget words. Nothing else seems out of place yet though. Do you have Dementia? It is possible to get it at an early age. I love the way your post are always so informational and yet so personal. You seem to have found such a perfect balance in the way you share. Thank you so much Karen it is a difficult line sometimes but I want to be able to share as much about this disease as possible. This blog is so different from others, I have read some life story or blog diary but this is just really different, from a caregiver who has a lot of knowledge and passion of the said illness it is really helpful to visit here every time. Thank you so much, what a wonderful compliment. Starting this blog has been life-changing for me. God Bless you for stepping up to take care of your mom.. I really enjoyed readin’ this and seein’ from your point of view. in my dads last fews years my took care of my dad, her had a different disease, and I never thought of it from her point of view. It is very hard to be a caregiver to someone you love like this, you have to be able to seperate the two relationships. This is something I struggle with everyday. I haven’t known anyone personally with Alzheimer’s. I hope that I am as helpful and patient if I ever do become a caregiver, though. I believe we all have strengths that we tap into when we need them. Sometimes you just have to recharge. I admire caregivers. I do not have the heart for it, if it is not someone I love. I didn’t know much about alzheimers either. My mom has told me her stories of her patients and I think it is just too sad for my heart to take. I never thought I would have the patience for something like this, but when it is a loved one that changes things. At least for me it did,. A good friend of mine is a caregiver. Her mother died and had Alzheimers. She now cares for folks that need help. What a wonderful person. It takes alot to stay in this line of work I would assume. It can get overwhelming. Your a very good daughter and an inspiration to others. I feel you, my father is a dialysis patient and yes we need to deal with the crazy and laugh at times things seem to fall apart. But what makes us stronger each day is the hope that we’ll be able to extend their lives and live our lives with them with no regrets. I will add you and your father to my prayers. It is difficult but you are exactly right you do what you have to do to keep the person you love with you as long as possible. Thanks Kathy, I always enjoy your site also! Very well written!! Your post gives so much insight about Alzheimers, that every person must know. Thank you for that.. i know sharing so much about Alzheimers! This was a very interesting post. I didn’t know much about alzheimers as I have never known any with it. Chelsea, Alzheimer’s is the fastest growing disease out there so chances are you will come into contact with either and Alzheimer sufferer or their caregiver at some point in your life. Maybe you will think back on this article. Both of my grandparents had alzheimers and I watched them go downhill. They had no one to care for them and it was sad at the chaos and confusion. I so wish they would have had someone like you. You have such an important job. So glad to hear that you are sharing about your experience. It is so hard to watch someone you love so much go through this dreadful disease. I am sorry to hear about your grandparents. When dealing with Alzheimer’s or dementia family members are often in denial or don’t know what to do, it is so sad. I hope to spread the message that there are places to get the help that is needed. Whether it be friends or relatives that have gone through it, web sites, Alzheimer’s Assoc has wonderful local chapters that will do everything in their power to help. This is such an important story for you to share, both to inform and to let others know they aren’t alone. I know this is a huge job for you and you are handling it so well, based on what you write. Thank you so much Sharon! I don’t always handle things so well I am just lucky to get to write with beautiful hindsight! Wow. I’d only read about sundowning once before in an article in the NY Times that talked about an experimental treatment place where they had activities all night long for Alzheimer patients. Thanks for this great info. I try to read just about anything that I can get my hands on about Alzheimer’s disease so I can be well prepared for what is to come…if that is even possible. Thanks so much! The signs are so hard for some to see. Thank you for putting them out there. Thanks Doreen I know this is something that you yourself have worked very hard on and has meant so much in your life. You blog has been very helpful. Dad has Alzheimers and is doing ok, but it is so hard to watch. He put mom’s shirt on the other day and you are right we have to laugh, understand and deal. That’s all you can do Raquel. You can’t get so swallowed up by the disease that you forget to enjoy your loved ones and the time you have left. There are so many sad moments to be able to laugh at some of the crazy may just keep you sane! I love that I always learn something from you when I visit here. My mom is just now starting to show signs that things are not quite right in her thought process, but she is 86 and has been under quite a bit of stress lately. I’ll be watching out now for certain signs. Stress is a big thing and can be the reason for the recent changes. When we first moved here she got worse during the move but once she became accustomed she started to do hetter. My mom tries every way to hide when she is struggling. She was very good at it when we were there a couple of times a week. Once she moved in we realized how bad it really was. I can’t imagine how hard it must have been to accept. It’s great that you were there to notice and to take your mom in when she needed you! Thanks Roshni. You do what you have to do with the loved ones in your life. My grandmother had Alzheimers and my mom had to take on the role of caregiver for 10 years. My mom however has a medical background so it wasn’t to big of a shock for my mom but it was still hard watching my grandmother slowly wither away. It’s great that your grandmother had your mother to fall back on. I had no idea what Alzheimer’s really was when I started, actually for about 3 months after she moved in. It was after another disaster that I finally figured it out. Such a touching and heart warming story! Well thank you very much. Sorry to say there are no improvements with Alzheimer’s it is just a very slow downhill slide. We try to enjoy everyday! Wow, what a powerful story teller you are. I was hooked into this post as though I was reading it from a book! What an amazing woman you are for taking charge and taking care of your mother. Not many people would do it, and I can’t imagine any of it has been easy. Thanks for sharing your story, I found you via the SITS girls, and I’ll be coming back! Thank you for such a beautiful compliment! I hope you will return often. I post on Mondays but am working on a new Friday segment that is more family related…more coming soon! So true that most caregivers have no prior experience. You write so well of the challenges faced by those of us who are caregivers! I found your blog through SITS Day and plan to return often. It’s so very nice to meet you Judith and I appreciate you stopping by! I always love to meet fellow caregivers as you well know it can be a very lonely and isolating existence. Thank you for sharing your story. My grandfather lived with dementia and my grandmother was his caregiver for 10 years before he passed away. Your blog is helpful for so many reasons. Keep up the good work. Stopping by from SITS. It has saved my sanity sharing our story! But thank you very much for your wonderful compliment hope you’ll check out some more!